For the 10th time Krassi Mayonnaise Factory gives its fans the opportunity to win awards by preparing their favorite mayonnaise recipes. 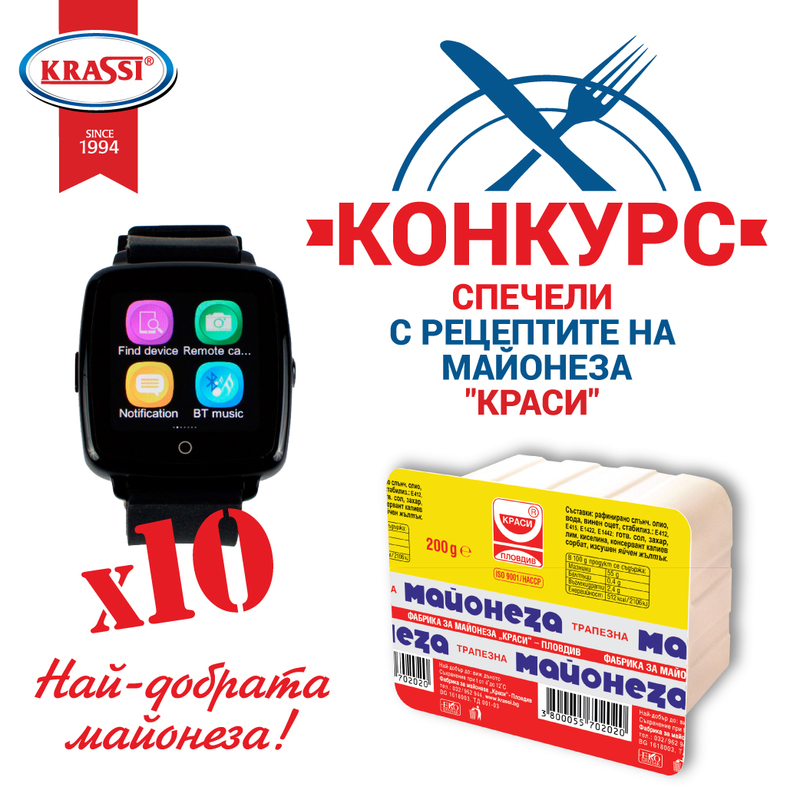 From 5-15 October everyone has the chance to post a picture of his/her dish prepared with “Krassi” mayonnaise on the Facebook page https://www.facebook.com/krassi.bg/ and win a smart watch. Every participant may publish unlimited number of pictures of dishes prepared using “Krassi” mayonnaise and try to win one of the awards. The more often you participate with a different recipe each time, the better is your chance to win an award. Cook, take a picture and win an award from Krassi Mayonnaise Factory!